Victor Moore was a legendary Broadway actor, but he also appeared in many old Hollywood films, including Swing Time (1936) Make Way for Tomorrow (1937) and the Christmas classic, It Happened on 5th Avenue (1947). Moore was born Feb. 24, 1876, in Hammonton, N.J. Moore was fascinated by the theater from childhood, often working as a stage hand for vaudeville acts that came through his hometown. Moore's family moved to Boston when he was a teenager and he got his first part there at age 16, appearing in a play called Babes in the Woods. A playbill for one of the silent comedies starring Victor Moore. Moore struggled in bit parts until he found a comedy sketch that he thought could make his name. 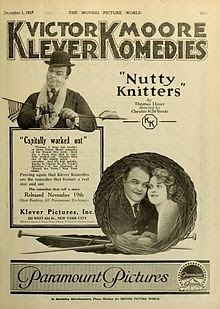 The sketch, which Moore performed with his first wife Emma Littlefield, concerned vaudeville players who get kicked out of a theater for giving a terrible performance. Moore's instincts were correct and soon he was making $2,500 per night. 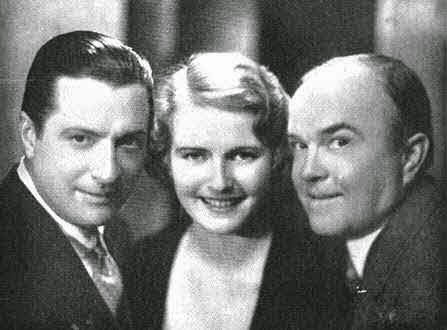 William Gaxton (left) Lois Moran and Victor Moore were the original cast in Of Thee I Sing. Legendary producer George M. Cohan spotted Moore in vaudeville and wrote a part for him in the play, 45 Minutes from Broadway. Moore appeared in many plays throughout the 1910s-1920s, but he also dabbled in silent films, appearing in several comedy short subjects. 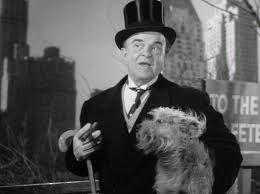 Victor Moore plays a smart-dressing bum in It Happened on 5th Avenue (1947). 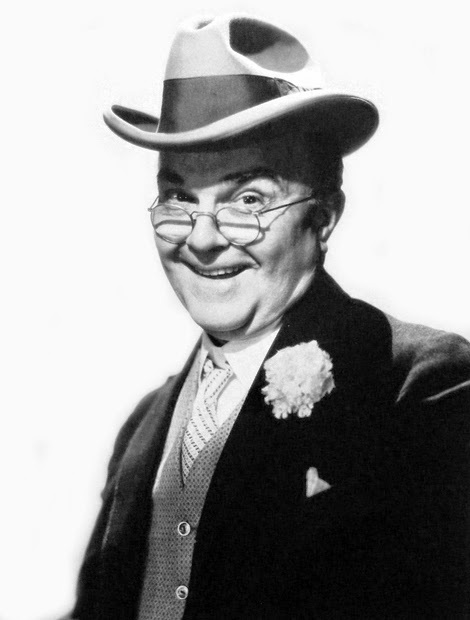 Moore became a superstar in 1932 when he took on the role of bumbling Vice President Alexander Throttlebottom in George Gershwin's Pulitzer-Prize winning musical comedy Of Thee I Sing. Moore was so famous that he could halt proceedings in the real U.S. Capitol, even upstaging the bombastic Louisiana Senator Huey Long. According to the New York Times, Moore visited the Senate while Long was embarking on a filibuster. When word got around that Vice President Throttlebottom was in attendance, a crowd gathered around Moore and many senators left their seats to shake his hand. Moore's Broadway stardom led to roles in Hollywood. He appeared in many films throughout the 1930s and 1940s mostly playing the lovable but befuddled comic sidekick. Moore's memorable roles included Swing Time with Fred Astaire and Ginger Rogers; This is the Army (1943) with Ronald Reagan and Joan Leslie; recreating a vaudeville sketch (above) in the all-star Ziegfeld Follies (1946) and as a homeless bum in the Christmas classic, It Happened on 5th Avenue. 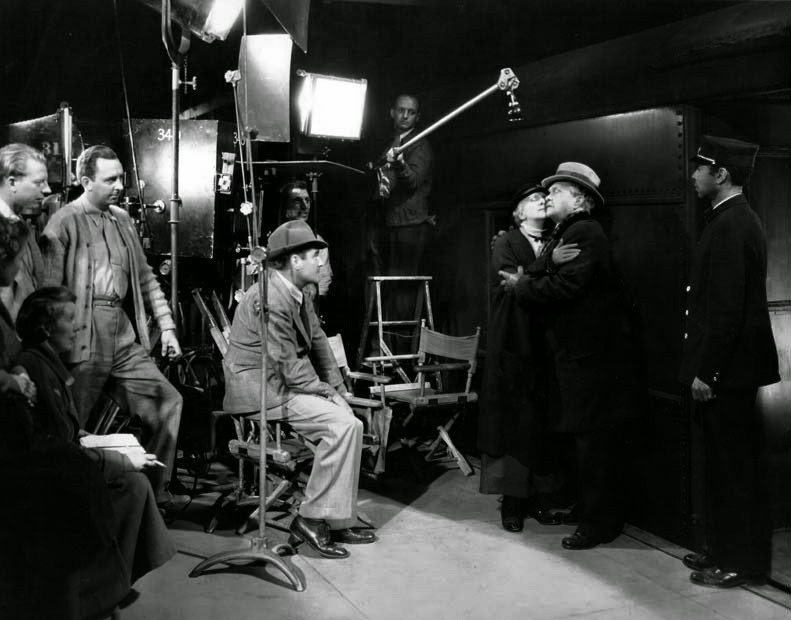 Beulah Bondi and Victor Moore perform a scene from Make Way for Tomorrow (1937) under the watchful eye of director Leo McCarey. Moore's most memorable Hollywood role was in Leo McCarey's masterpiece Make Way for Tomorrow. Moore and Beulah Bondi played a depression-era couple who cannot find work and lose their home in a foreclosure. They ask four of their children for help, but no one is willing to take both parents at the same time. The couple's life becomes increasingly miserable as they are shuffled between households. Moore gives a very touching performance in this film as a gentle man who cannot cope with the harsh realities of Depression-era America. Victor Moore tries to get Marilyn Monroe's big toe out of the bathroom faucet in The Seven Year Itch (1955). Moore's last film was The Seven Year Itch (1955), where he played a bumbling plumber opposite Marilyn Monroe. Moore retired from acting in 1957 after he suffered a stroke. He died of heart attack on July 23, 1962. Moore is buried in Cypress Hills Cemetery in Brooklyn. Information for this article came from The New York Times archives.